PROVIDENCE, R.I. [Brown University] — The human brain contains about 90 billion neurons, but Stephanie Jones, an associate professor of neuroscience at Brown University, doesn't let that staggering number faze her. In fact, she just released a user-friendly software tool that models the neural circuits in the outer layers of the brain, which produce the electrical activity monitored by noninvasive techniques such as electroencephalography (EEG). This user-friendly version of her existing neural model was made possible by a $1.6 million BRAIN grant from the National Institutes of Health. "This software is a hypothesis development and testing tool for neuroscience researchers and clinicians," said Jones, who is affiliated with Brown's Carney Institute for Brain Science and the Center for Neurorestoration and Neurotechnology, a collaboration led by the Providence V.A. Medical Center with Brown and other partners. "I hope it is transformative to medicine." Jones said that despite prevalent use of EEG in clinical settings, the electrical activity the technique monitors is not currently established as a biomarker for any condition other than epilepsy. "With our tool, EEG could be used to guide treatment for patients based on new knowledge of what's happening in the underlying neural circuits — defining biomarkers of disease states, discovering treatments and measuring if a treatment is working," Jones said. "We want to put it in the hands of a large user-base of researchers who are interested in having a tool like this but aren't interested in modeling thousands of coupled differential equations themselves." The software, called the Human Neocortical Neurosolver, is free and open source and includes tutorials to help researchers use it to understand normal brain function and abnormal brain activity in patients and make predictions about the neural circuits. 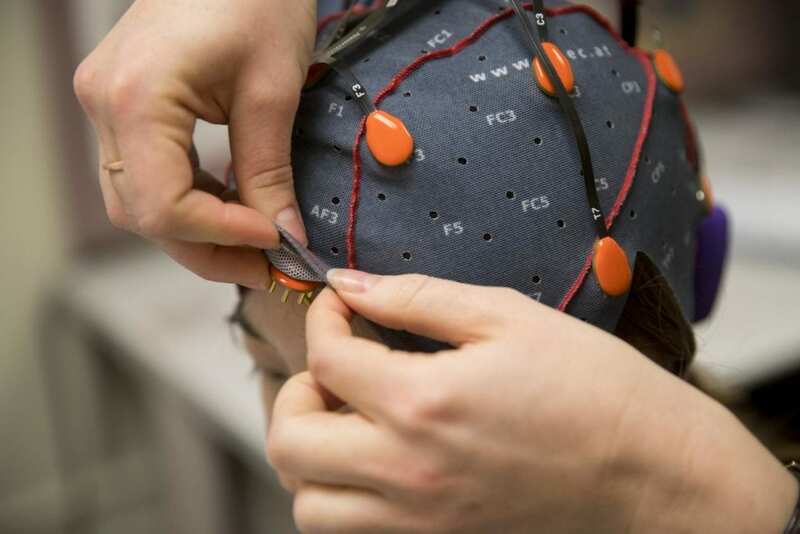 Researchers can upload EEG recordings from patients and then adjust various parameters of the neural circuits to match and explain the patient data. A prior version of the model was used to identify an underlying cause of differences in sensory processing in autistic children, Jones said. In addition to aiding clinicians with treatment development, the software will also advance neuroscience, Jones said. "Ultimately what we want to do is bridge the gap between the genetic and molecular changes in rodent models of diseases to the neural circuit level, all the way up to the signals that can be recorded outside the head." The software was a collaboration with Matti Hamalainen at Massachusetts General Hospital and Michael Hines at Yale University. Sam Neymotin, an assistant professor of neuroscience (research) at Brown, also helped develop the user interface.